SO YOU CAN’T TEACH AN OLD DOG SHOW NEW TRICKS? 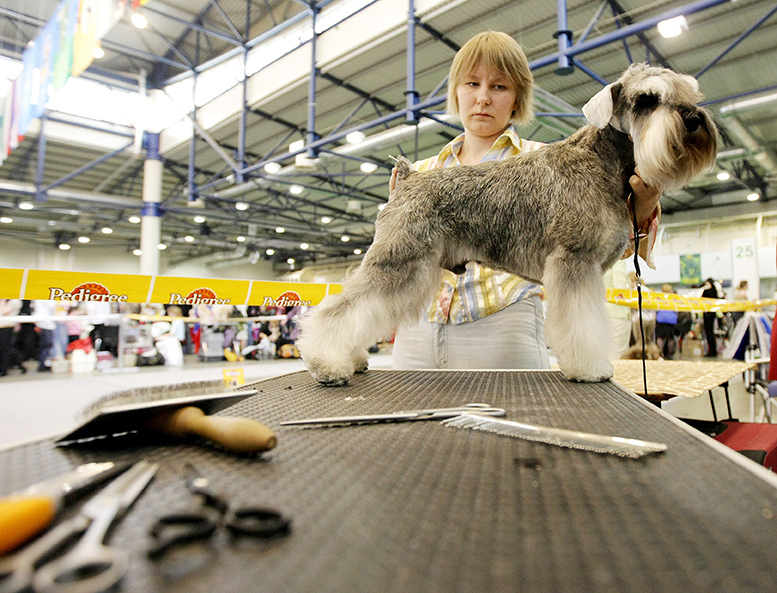 Two new events at the Houston World Series of Dog Shows disprove that theory. For the sports lover, the Performance Events feature athletic dogs in action: obstacle-course-running dogs (agility), hurdle-jumping dogs (flyball), dancing dogs (canine musical freestyle), flying-disc catching dogs (Frisbee®) and sled-dragging dogs (weight pull). In the AKC® My Dog Can Do That! trials, both dogs and owners get some exercise, as they test-run an agility course while receiving instruction from experts. But some of the most beautiful dogs at the show don’t move at all: they are Houston-area school children’s winning entries in the Dr. Mari Jon Filla Student Art Competition and Exhibition. Don’t forget your own most-beautiful-dog-in-the-world. Surprise it with some special goodies — blingy leashes and collars, comfy beds and fancy treats — all for sale at the McScotty Market. And if your pup needs a new custom home, bid on a one-of-a-kind doghouse designed, built and donated for the 11th Annual Designer Doghouse Competition and Auction. All proceeds benefit homeless animals at the Citizens for Animal Protection shelter. The Houston World Series of Dog Shows, sanctioned by the American Kennel Club, supervised by Onofrio Dog Shows and sponsored by Purina® ProPlan®, is Houston’s must-see dog event, attracting more than 12,000 entries and 40,000 spectators, participants and vendors. Adult admission is $15 per day at the door or via Ticket Master (extra fees apply). Tickets for seniors 55+ are $10, and children 12 or younger are admitted free with adult. With ID, active/retired military personnel and family pay only $5. Parking is $12, cash only. Visit www.houstondogshows.com or follow us on Twitter (@Houstondogshows) or Facebook for the latest information.